Organic matter burial is a major process for transferring carbon dioxide from the surficial system to the rock record. 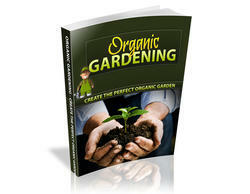 It is also the principal process for the production of atmospheric oxygen. 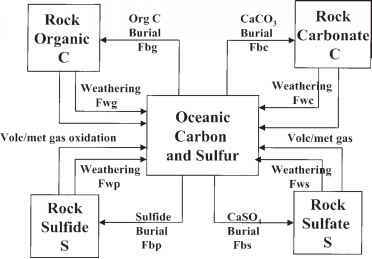 Rates of burial have been calculated from the abundance of organic matter in sedimentary rocks as a function of time and through the use of the carbon isotopic composition of seawater as recorded by sedimentary carbonates. Both methods demonstrate that organic burial increased appreciably during the Permian and Carboniferous due primarily to the rise of large land plants containing microbially resistant lignin, and secondarily to the abundance of coastal lowlands appropriate for the formation of coal basins. During periods when the oceans were low in dissolved oxygen, there was probably greater burial of organic matter, although the role of bottom-water anoxicity in enhancing organic matter preservation has been challenged by some workers. The weathering of organic matter is as important to the long-term carbon cycle as its burial, but there has been little study of weathering. Organic weathering is a major sink for O2 and a major source for CO2. A critical question for carbon cycle modeling is whether organic weathering responds to changes in atmospheric O2. It has been assumed by most workers that weathering is O2 independent and controlled by the rate of uplift of the organic matter into the zone of oxidation. However, this is not a settled question, and research is needed to try to answer the question of rate control. This is important because if organic weathering is O2 dependent, the weathering process acts as a negative feedback control on excessive O2 excursions. Carbonate weathering impacts the long-term carbon cycle, not as a direct control on atmospheric CO2, but as a necessary flux term for calculating the level of atmospheric CO2 consumed by silicate weathering. Rate expressions for carbonate weathering have been constructed that are similar to those for silicate weathering. The rate of global carbonate deposition can be treated as a dependent variable and can be calculated from global carbonate and silicate weathering plus imbalance in the organic carbon subcycle. However, the location of carbonate deposition is critical as to the liklihood of the carbonate being decomposed later by thermal processes leading to the degassing of CO2 to the ocean and atmosphere. There is a higher probability of thermal decomposition for deep sea pelagic carbonate because it is transferred to great depth in subduction zones, whereas shallow-water carbonates are not. The history of shallow versus deep water carbonate deposition is thus important to deducing the history of CO2 degassing.